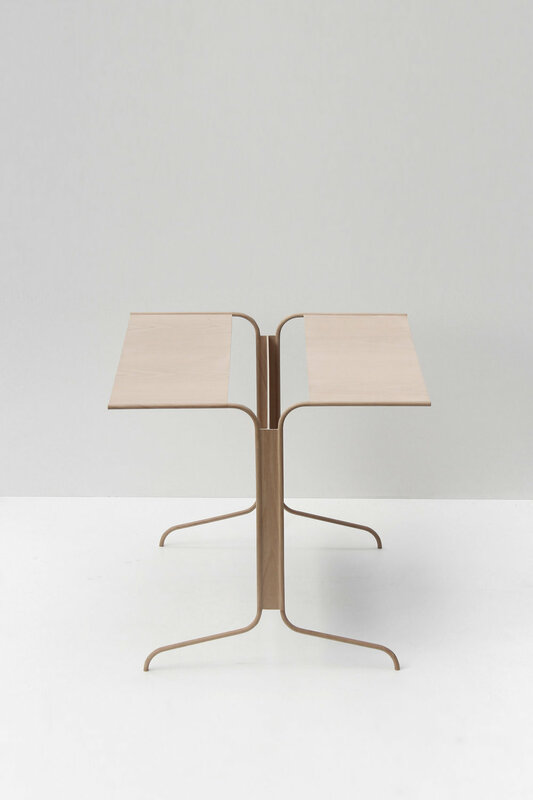 Created by Netherlands-based designer Christian Heikoop, the Linear Wood is a minimalist table made from veneer. Wood veneer is a material that supports within through the use of additional materials, constructive elements, surfaces and/or structures. The fragile, yet hardy material has been utilised wonderfully within the 'linear wood' series. Exposing the properties of the material through the elegance of its silhouette. The linear table series highlights the ability to create organic curves and seamless surfaces with a wonderful continuation of the wood grain across the surface. The strong and ultra-thin structure creates a lovely romance between material and shape.